One challenge I set for myself for 2019 was to get more wear out of the clothes I buy and ultimately invest in pieces that are versatile and thus much more wearable. 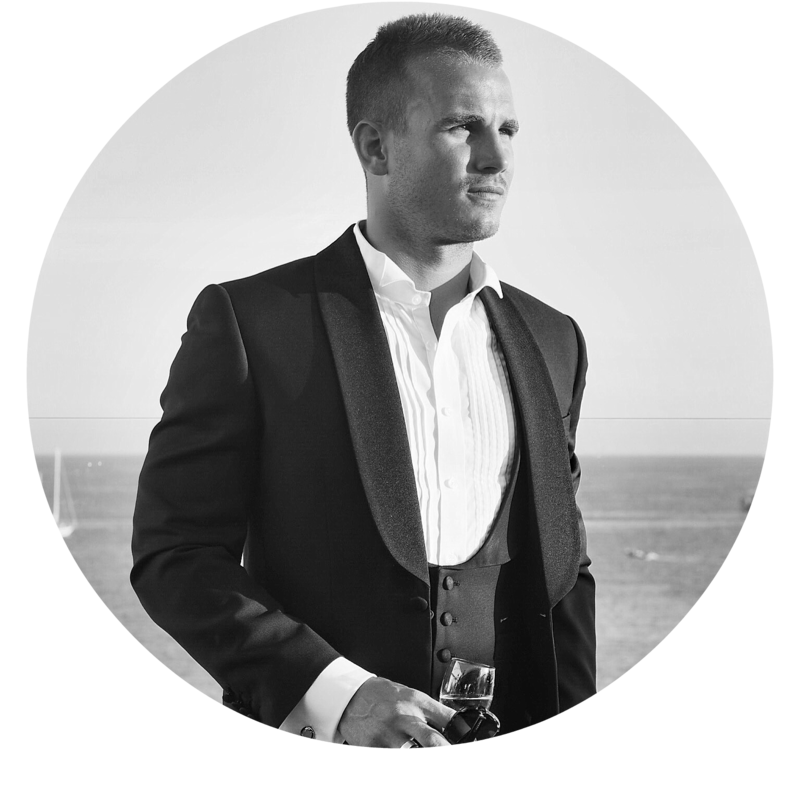 If there’s an area of my wardrobe that I truly see the value of investing in a high quality design, it’s my footwear. Whether it’s marching down Dean Street getting to my meeting on time, or racing to the bus stop, I need a pair of shoes that won’t let me down. 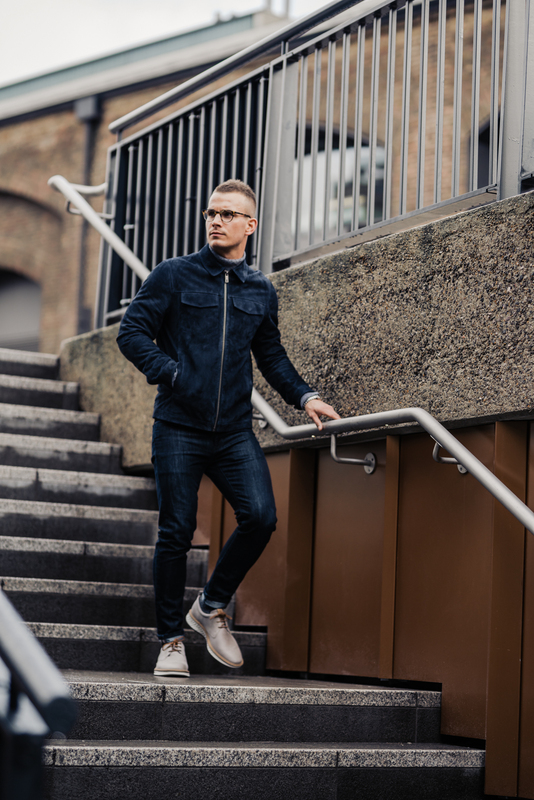 Comfort, style and durability are what I look for in my key footwear styles, the shoes I reach for every day that I know will keep me looking and feeling good, so let me introduce you to a new favourite from ECCO, the ST.1 Hybrid. OK, I confess to being a bit of ‘shoe obsessive’ – Josie has in fact insisted on a strict ‘one in, one out’ rule for my overflowing shoe cupboard, but I realise that not everyone can get quite as excited about shoes as I can. Well, let me blow your mind with some epic facts about the ECCO ST.1 Hybrid that might just change that. 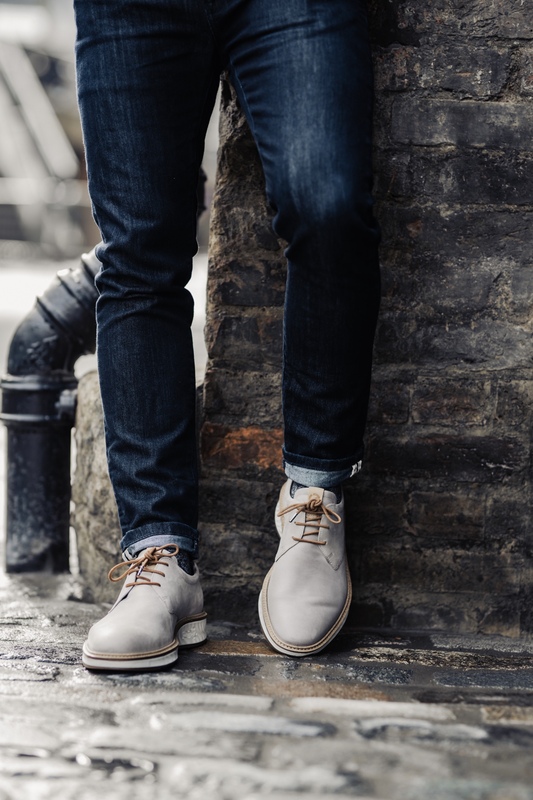 – ‘Quality Materials’ – The leather used in these shoes is an innovative blend of rich leather with a hybrid sole, a very modern take on a classic and timeless design. 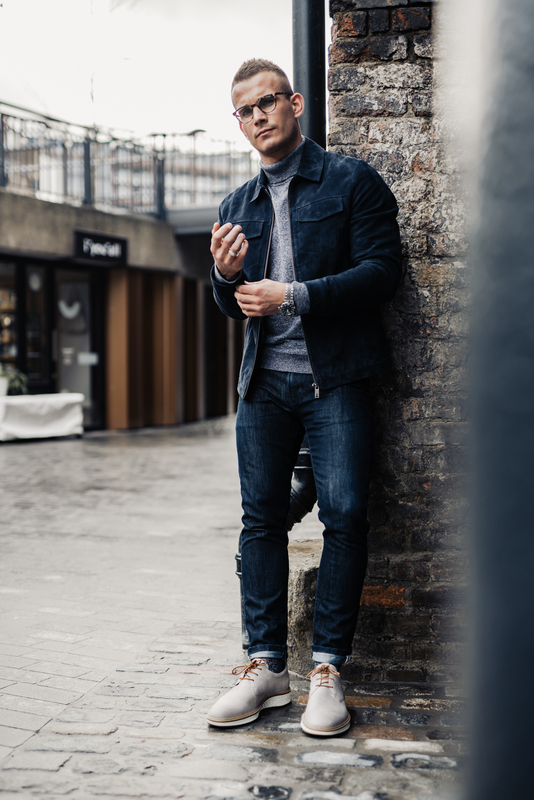 – ‘Modern Twist’ – The new ST.1 Hybrid design blurs the lines between smart and casual and is without a doubt one of the most versatile shoes you can invest in – easy to style and it suits multiple wearing moments. 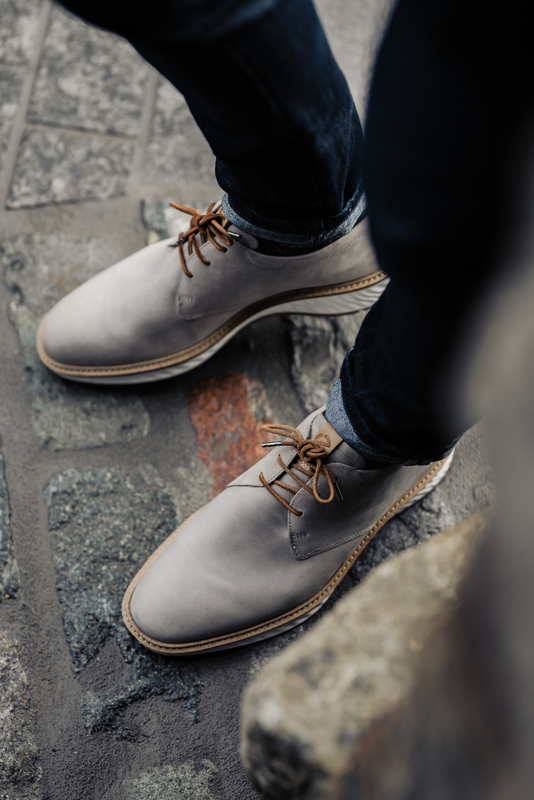 – ‘All About The Sole’ – Being a ‘hybrid’, this is a shoe that is significantly more comfortable than a classic leather or suede formal shoe. 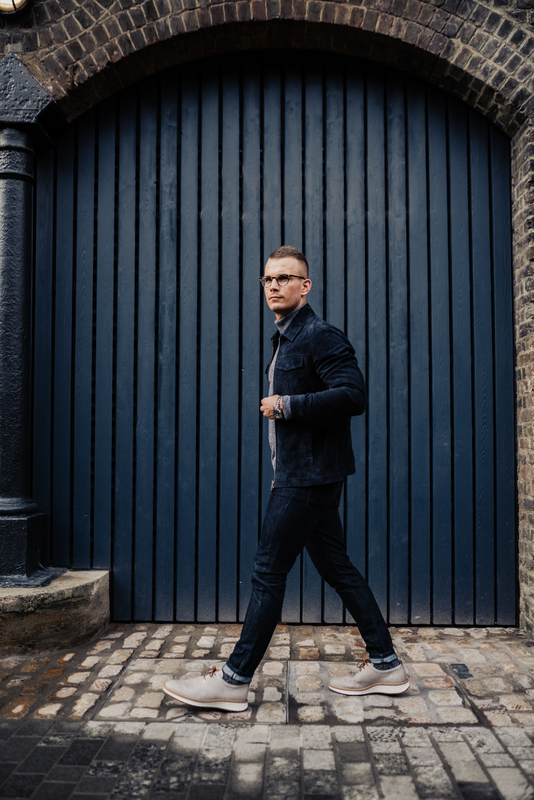 The sole itself features the innovative ‘shock-thru’ technology, giving the wearer a much softer midsole with energy return and thus is well suited to the modern day gent for running around town or the daily commute. 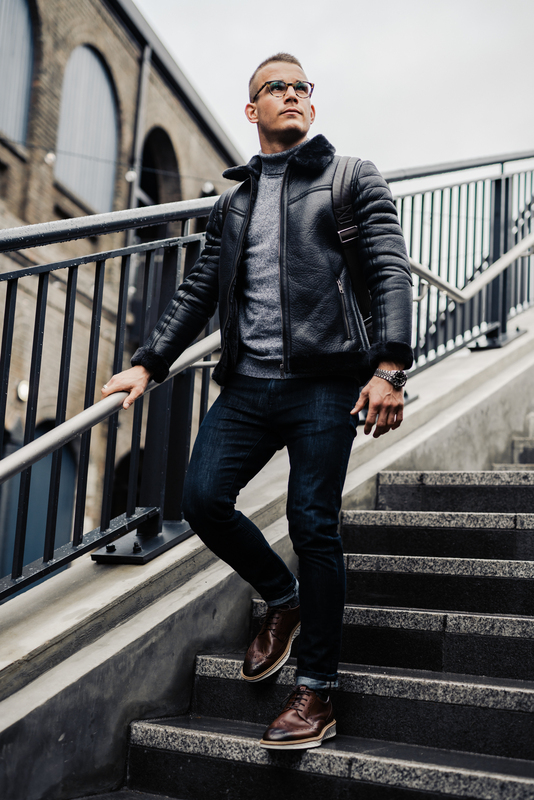 – ‘Built To Last’ – A hybrid within a hybrid, the material was created by ECCO Leather Studio by blending luxury hides with a man-made fibre that is 15 times stronger than steel! 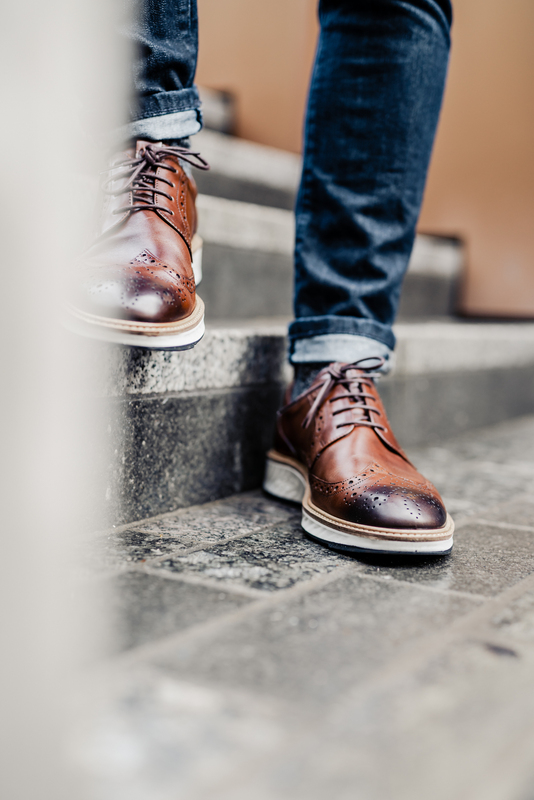 Given sustainability is such a hot topic and global concern, it’s important you invest in shoes that will stand the test of time. Ultimately if you’re looking to invest in one pair of shoes for the coming months, this should be it. 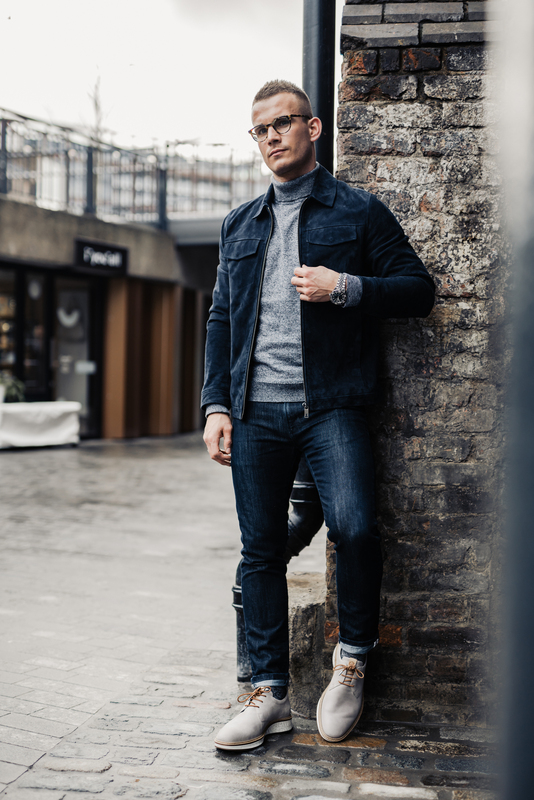 Equally great with jeans, chinos or suit trousers and weather resistant and ultra comfortable, no need to avoid those puddles or reach for those blister plasters. It is important to always remember that more often than not, the first thing someone subconsciously notices about you is what you are wearing on your feet and first impressions count! 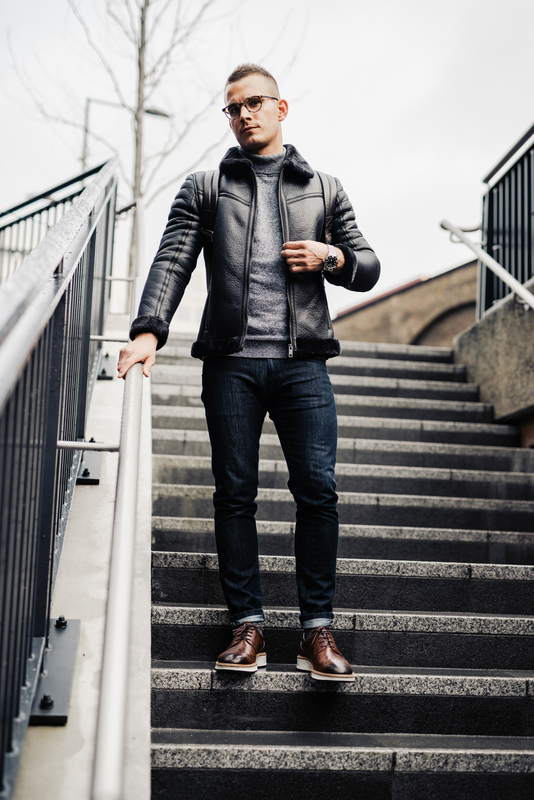 Wearing the ‘Moon Rock’ colour in a nubuck leather – shop the shoe here. 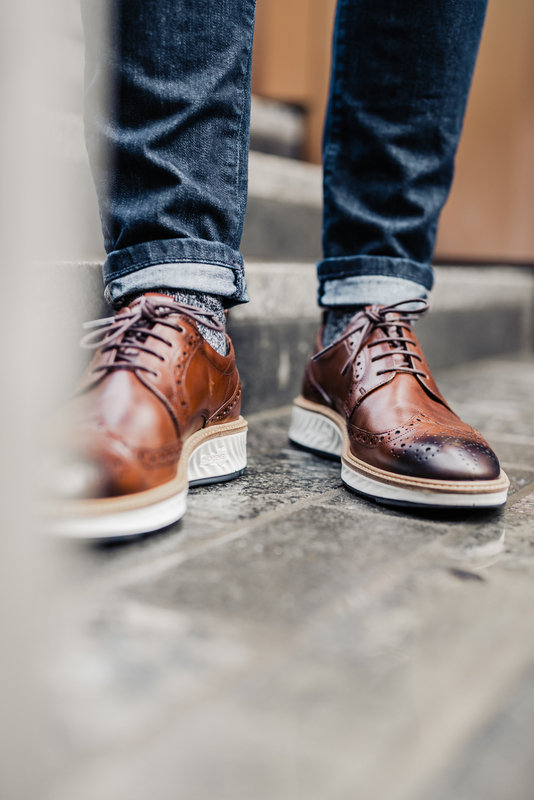 Rocking the ‘cognac’ colour in a brogue design, shop the shoe here. Which is your favourite of the two outfits and new designs?